How many times did you look for just the right piece of jewelry and couldn't find it? It happened to me so many times, the color is wrong, the shape is too big, the mood is completely off and you left with the what you have worn so many times before. Well..I think I found a solution, Make your own! I know I'm not inventing the wheel and that people have been making their own jewelry for a long time. 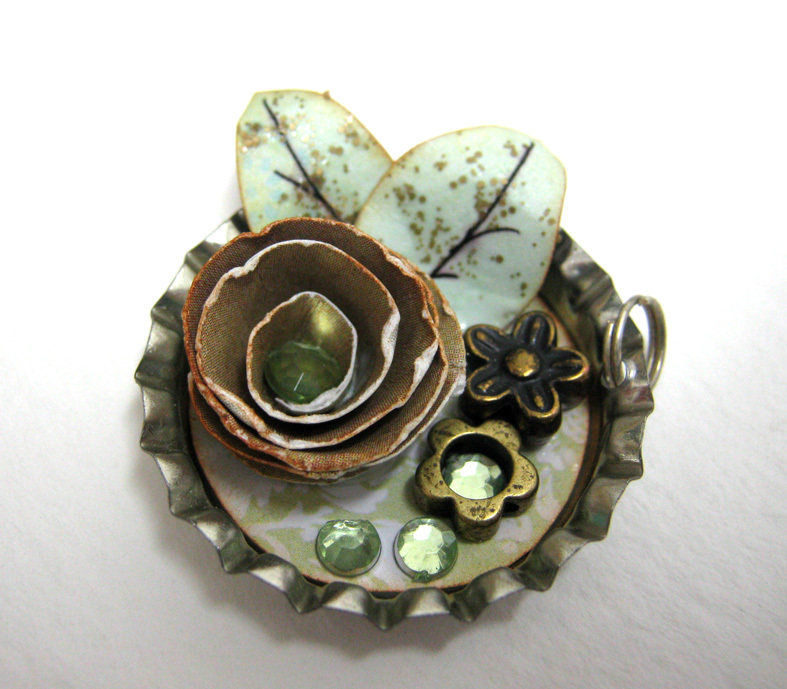 However I want to share with you my way of doing it and combining my love for paper and scraps. 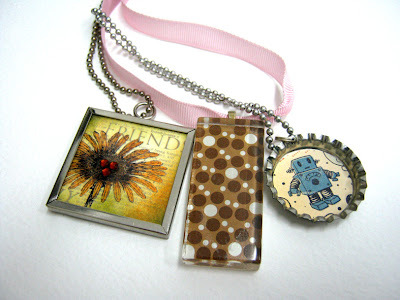 You can take a piece of acrylic block and turning it into a pendant by adhering a pretty pattern paper on the back and attaching a small metal ring for the necklace. 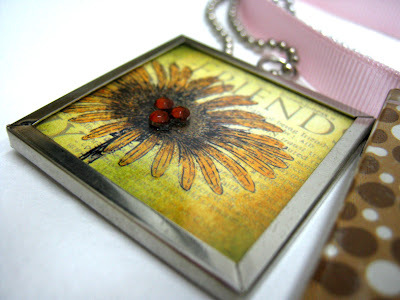 Another way is to take a small metal frame and insert a square of paper in it. You can stamp the paper, distress it or paint on it. On top of the plastic add a little bling and you're set to go. 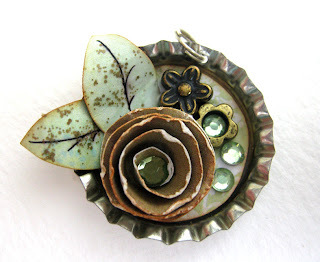 Or you can take a bottle cap and create a more 3D pendant. Punch a circle from pattern paper and adhere to the inside of the cap. Add handmade flowers, rhinestones and some metal embellishments. רעיון מדליק! אבל איך שומרים על זה??? ?